Well, Well, Well Scott Johnson, What an interesting set of developments since we last talked. 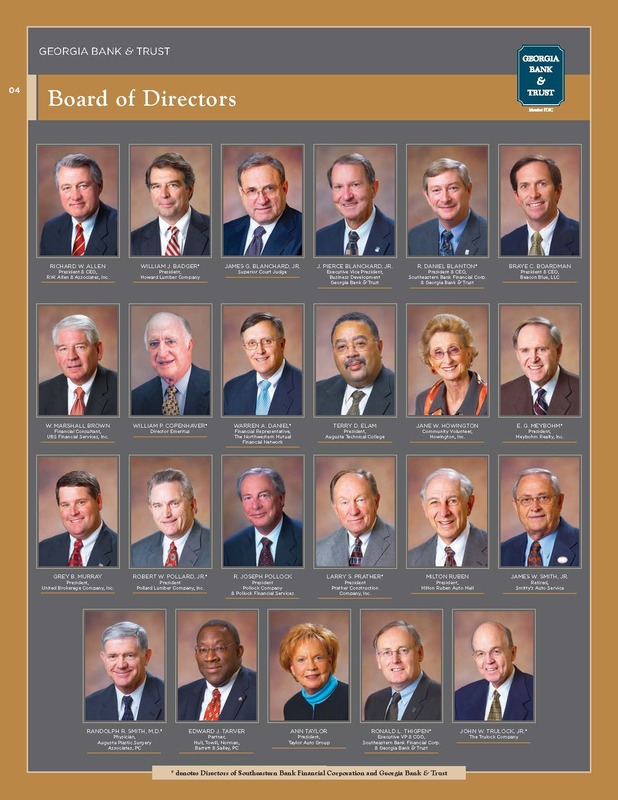 Back then, y’all couldn’t identify the Commission Finance committee member who essentially redirected a huge 5 year Columbia County banking contract to Georgia Bank and Trust after First Citizens Bank won that bid, but lately you have gotten really good at finding and disclosing facts about Pam Tucker. Austin has insinuated that you were “looking for dirt” on Ms. Tucker during her vacation, her conversation got very efficiently recorded and replayed, and there was a further dust-up involving a banker. Heaven knows that wasn’t one of the GB&T bankers. No one dare do that back when the banking contract went down. A majority of the commissioners, including 2 out of three on the Finance Committee, were GB&T shareholders then, including one who was the Chief Operating Officer of the bank! What are the new Developments? In the last 15 months the United States Attorney of the Southern District of Georgia very arguably an unwitting protector of the entire mess, left his post after 8 years and was replaced just 6 months ago. In the last 15 months GB&T sold out at a premium of around $49 per share, up from the dark $9 per share days of 2009, just before your secret finance committee member swung over $100 million of Columbia County’s money into rescuing them. Meanwhile, the employees of 83 percent of area banks who didn’t work for that bank, many who lost everything in 2009 and got no rescue from you all, and the 100 GB&T employees who lost their jobs after years of propaganda will read this with keen interest. What is worse, we read that you are quoted promising retaliation against one of them for questioning not only Tucker’s departure but that of another departed division director as well. This was and is a national scandal and you are sitting in the middle of it. Columbia County Finance got caught “Doin’ Tha’ Thang Right” but the taxpayers didn’t even get a peck on the cheek. They ain’t gonna be happy with YOU!